The Components library is a collection of high-quality artwork and ready-made graphic symbols that you can simply edit and integrate into your views. 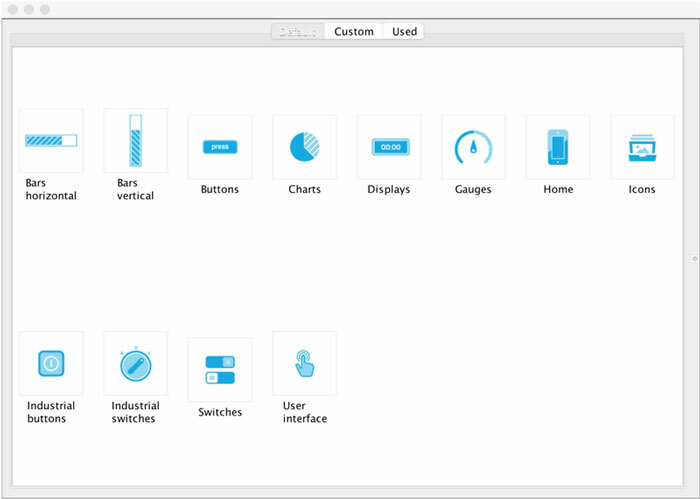 Each component represents a fully functional graphical object with easily editable properties, including the ability to be directly connected to the PLC tags without the need to use animations. 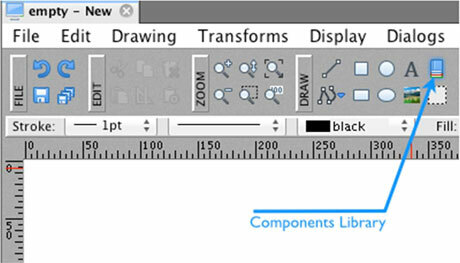 The Components library icon is located in the DRAW section of the main toolbar.